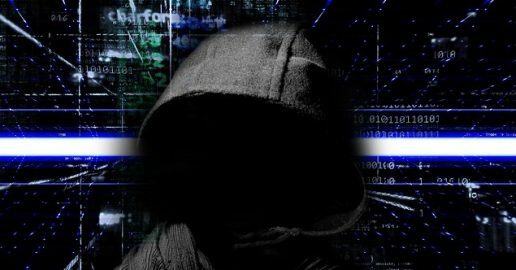 Reflecting back on the most destructive, ingenious or ground-breaking cybercrimes, clouded with mega-heists, reveals that hackers turning malware creating, into art and new crops of purpose-driven worms struck computers. As technology progressed so did the hackers, and in 2014 the data of 50 million credit cards were stolen from the Home Depot’s System. The hackers used the vendor’s password and name to get into the network, installed malware on the pint-of-sale system and customers swiping cards were handing over their information to the criminals. 2014 also seen the largest customer data thefts when the data of 76 million households were hacked via 7 million small business hacks. Bank JPMorgan disclosed a major breach that compromised data and other businesses targeted included Dow Jones, ADP, HSBCS and CitiGroup. Sony Pictures was attacked by hackers in the same year. The hackers gained access to salaries, emails, and unreleased films. While many believe the hackers were sabotaging the release of the film depicting the assassination of Kim Jong-un, it was the first time that a country was accused of a cyber-attack by the US government. DDoS is the abbreviation for Distributed Denial of Service attacks, which are harder to fight and easier to launch due to advancement. PureVPN.com offers DDoS attack preventions using dedicated French and Canadian IP’s as a paid add-on. PureVPN assures protection against an unlimited number of all DDoS attacks, secure internet connections via 256-bit encryption and safeguards instant messages and emails via a shield protection personal data, videos, and photos. Heather Dahl, Director of Global Analyst at Neustar, warns that individuals should avoid conducting transactions from unknown networks or use a credit card with a low credit limit on public Wi-Fi networks. Public Wi-Fi is convenient, and while it makes connectivity easier, it does come with a risk, since public networks are at high risk of being hacked, while VPN services encrypt data and users can safely use their banks. Lance Cottrell founder of Anonymizer, advices that individuals should limit their daily spending limits on credit cards and use VPN for public networks. The first LoT attack took place in 2016. It was widely used in cybercrime and took down some of the most popular sites during a 1000000-internet connected DDoS attack on Spotify, PayPal, Netflix, and Twitter as well as others. The Yahoo user data breach was disclosed in 2016 when Yahoo revealed that 500 million user’s data was compromised, four months later the company revealed that the data of one billion Yahoo users were exposed in 2013. According to Forbes, the LoT attacks are not easy to defend, as victims are unable to speed up as fast as the attacker can find new endpoints. Yahoo was not the only social site to fall victim to cyberattacks, Myspace found 427 million user’s information up for sale on the dark web, 117 million LinkedIn user’s information’s were put up for sale, and 65 million emails were hacked from Tumblr. Ashley Madison was hacked, and 32 million users had their details published while the hackers were never identified. Those who use Facebook and are looking for the best VPN suited for Facebook is ExpressVPN. Over 1,5 billion people use Facebook, and it has become an essential part of their life as a platform for organizing events, sharing photos and for many, it’s the perfect way to keep in touch with family and friends. ExpressVPN offers a 30-day money back guarantee, P2P security, no logs and access to servers located in 78 countries. Arranging the dastardliest cybercrimes in order of date starts off with Michael Calce known as Mafiaboy. The 15-year-old Canadian struck a world in denial of service attacks in February 2000 when is experimentally program hosed down the largest websites he could find, eTrade, Dell, Amazon, CNN, and Yahoo all buckled leading to news headlines and a White House emergency meeting. Mafiaboy’s attack was trivial compared to modern DDoS attacks, but it was Calce’s cyber strike that got internet security onto the national stage and started an era where any script could take down part of the web. It was an unidentified hacker that penetrated the database of the California state government’s payroll on the 5th of April 2002. He gained access to social security numbers, names and salary information of 265,000 workers including the governor. The controller office of California waited two weeks before victims were warned, which led to a furious California State Senate to pass SB1326, the first breach disclosure law. The SB1386 requires that organisations that have been hacked need to warn potential identity thefts to victims immediately. Similar laws to the SB1326 law is now enacted by 45 states. With the lightning-fast Slammer worm, fear arrived in 376 bytes in 2003 when it attacked a hole in the SQL server of Microsoft. A fix was released six months before although the malware cracked 75,000 patched servers within hours and halted networks such as Washington Mutual ATM and Bank of America. The Slammer worm was not the biggest, yet the most aggressive and it exposed interconnections between public and private networks, while continental airlines cancelled flights due to ticketing system being gummed up and the 911 network was lost in Seattle, while the nuclear plant lost its safety monitoring system in Ohio. Unleash mighty Antivirus software to protect your computer against worm & Keyloggers. Get rid of suspicious popups. Free Wi-Fi comes with a price. Known as the RNS Worldpay Heist, the payment processor hack was announced in 2008 on 100 of the 1.5m gift card account and payroll, although it turned out that withdrawal limits were raised by hackers on 44 cards to $500,00 and a global army of hackers slam the accounts with rapid withdrawals. Over 130 ATM’s were hit simultaneously in forty-nine cities minutes before midnight on the 8th of November 2008 resulting in a haul of $9.5m. Albert Gonzalez aka Segvec called his operation Get Rich or Die Trying, an operation that ran nearly four years before it ended in 2008, after Segvec, 28 at the time and his accomplices staged the biggest debit and credit card data theft in history. Selling debit/credit card magstripe data on the black-market, the hackers utilized Wi-Fi and SQL injection to gain access to company’s data, including Dave & Buster’s, Seven Eleven, TJX, Office Max and the Heartland Payment card processor system, to gain access to 130 million cards. By exposing a slipshod in the card-processing infrastructure, the data heist also led to a new US prison sentence of 17 up to 25 years. Want to know about the latest VPN discounts and new VPN reviews? Is this the end of memes? VPN vs Socks5 vs HTTP vs DNS: what’s the difference and how do they stack up? Isn’t It Romantic is out on Netflix now!